Editor's note: An earlier version of this story misstated the job title of Eric Blumbergs. 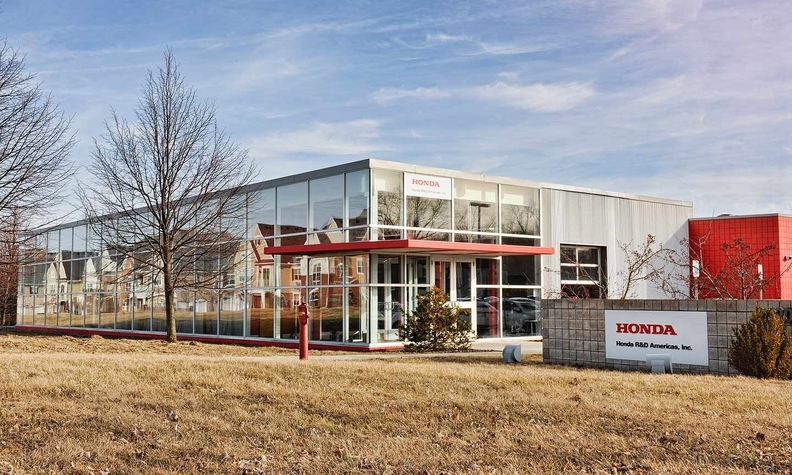 Honda engineering personnel are staffing a newly opened garage outside of Detroit in a bid to entice suppliers and technology startups to help the Japanese automaker develop mobility services. Honda drove the news home this week in Detroit by presenting the plan to attendees at WCX, SAE International's annual engineering conference. "We want to tell people we are interested in working with them," said Shigenobu "CJ" Saigusa, chief engineer with Honda R&D Americas and head of the Mobility Collaboration Garage in Ann Arbor, Mich. The venture is small — about 20 Honda employees for now — but the garage symbolizes sea change for Honda in the United States. Honda has prided itself on self-reliance and independence, resisting mergers with other automakers, producing many of its own vehicle components, manufacturing its own factory tools and robots, and even creating its own vehicle prototyping operations to avoid exposing itself to the scrutiny of Detroit prototype providers with old-school ties to Honda's U.S. rivals. Saigusa smiled at the thought of that old tradition. "We have to change now," he told Automotive News after a presentation at the engineering conference. The new building -- or garage -- reflects the change. Until now, Honda has studied new mobility opportunities and considered U.S. technology collaborations from a tall office building in Southfield, Mich. The new garage is a single-story building surrounded by windows, intended to encourage people to walk by, look in and see what the engineers are working on. "We will literally welcome people to come inside," the engineer said. Honda moved into the garage last month, and it has one project underway so far. It expects to encourage startup ventures, individual tech developers, academicians and graduate students to work in the garage's space and use tools Honda is providing there. Eric Blumbergs, principal engineer at Honda Xcelerator Detroit, said mobility is the target for Honda. But the definition of "mobility" is broad, he emphasized. Tackling new business segments also requires new solutions in processes and tooling. Honda told its Detroit engineering audiences that the field will require solutions in artificial intelligence, advanced tooling, human-machine interface and robotics. The garage is creating a website to allow interested companies to submit ideas and proposals to work with the automaker. "We've never needed to build a website for what we're doing," Saigusa said. "But we're doing things differently now. Things are happening faster. We can't do everything by ourselves any more."